One thing that I have learned during my 7 years as an APLD member is that there are so many hidden talents in our group. And, that in addition to running successful businesses, a number are also working artists. 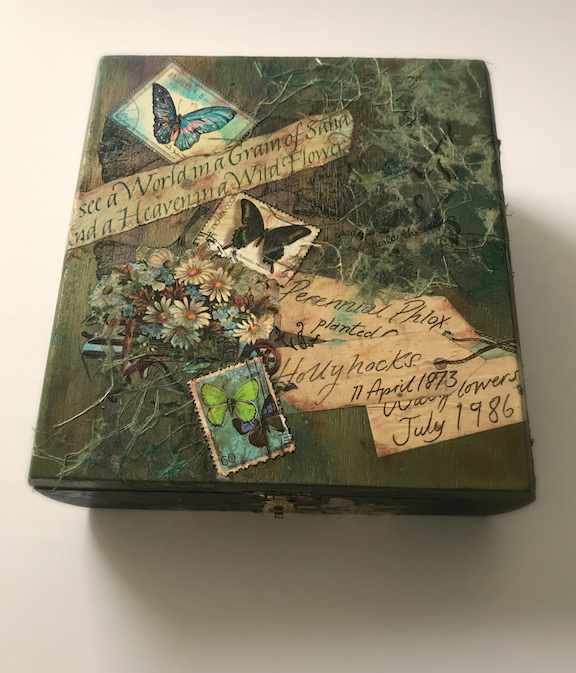 As a way to celebrate and support the arts, and promote APLDWA, a few are mounting a show at the Elizabeth C. Miller Library during the month of September. Putting together this show has been a yearlong process of collaboration amongst the artists. Each works in different media and techniques. We are fortunate that as part of their mission the Miller Library features local artists who share a love of plants, gardens and nature. All of the work will be for sale, and a portion of the sales will go to support the Library. Creating habitat for wild birds in our urban yards can be a functional affair. Selfishly we love to watch them forage, bathe and raise their young. 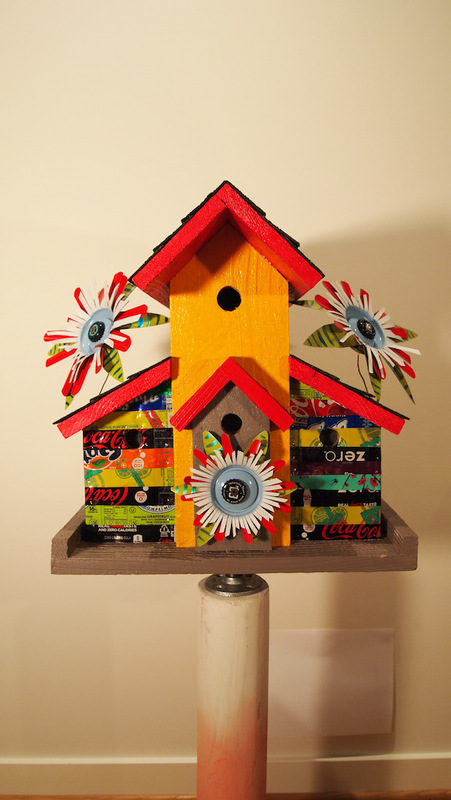 Birdhouses can also express human thought, amuse us, entertain and be an architectural feature in the outdoor rooms of modern life. Good design has a duality of purpose and the best art goes deeper than just its surface. A leaf, a flower, a shadow on the wall. It is the impulse of walking in a garden and wondering how to capture it…how to collect it in a jar or press it on a page for remembrance. Perhaps where to tuck envelopes of seeds for future gardens. This collection, an herbarium of findings, torn, tattered, collected, pressed and gathered for botanical inspiration. 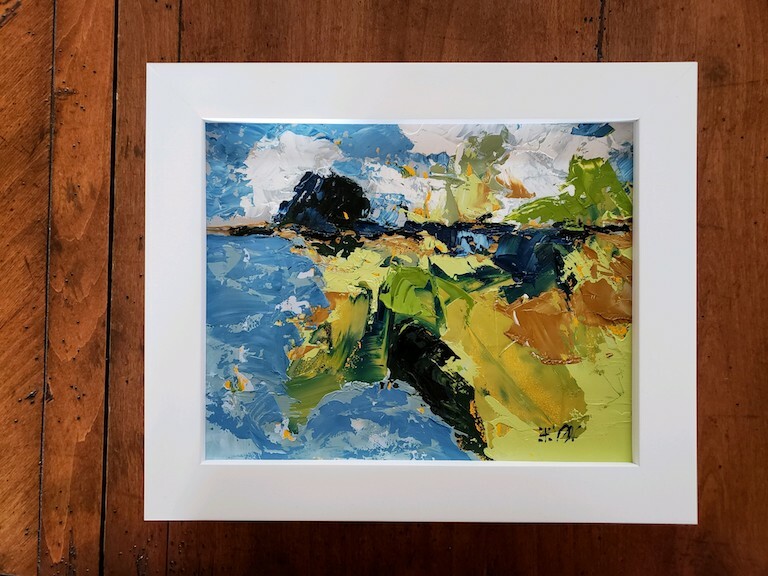 With the pressure of landscape design clients wanting my time on evenings and weekends when they have time off from work, I have carved out Wednesdays for painting. Abstract expression and wild colors have dominated my canvases in contrast to my limited palette and calm sanctuary found in my garden designs. Here's a mix of both as this series of paintings each focus on one plant species. The presence of nature permeates our lives in different guises and layers. For thousands of years artists have found inspiration in the enduring appeal of flowers. And, while blooms are often celebrated, the end of a flower's life rarely is—often called, pejoratively, faded…blowsy…blown-out. 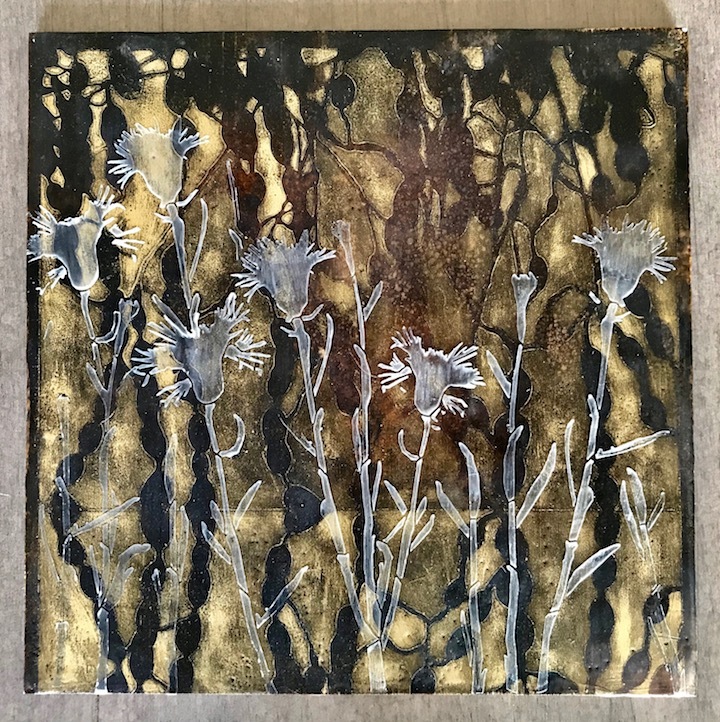 This series explores the beauty of that end-of-life state through various methods of manipulating the encaustic medium. Following in the long tradition of botanical art, these are not exact replicas, but rather naturalistically detailed representations. Join these APLDWA-member artists as they celebrate the beauty of the garden in unique and inspiring ways this September. This will also be the setting for our fall Membership Kickoff Event.